What is Acupuncture/ East Asian Medicine? Acupuncture is a comprehensive healthcare system that originated in China over 3,000 years ago. 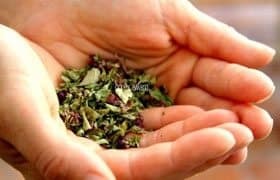 It can be used to treat acute or chronic ailments, strengthen the immune system, and for pain management. After gathering information about your medical history, feeling your pulse and looking at your tongue, an Acupuncturist inserts extremely fine, stainless steel, sterile needles into specific points along the meridians (energetic pathways) of your body. The insertion of these needles signals the body to correct imbalances in the flow of Qi (life energy), and restore health and well-being. 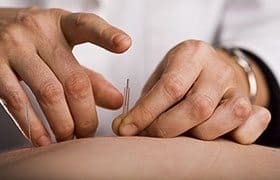 Other techniques that your Acupuncturist may use during treatment include: Moxibustion–warming an area or point with an herb called mugwort; Tui Na–Chinese massage; and the stimulation of acupuncture points with mild electrical current. James Shinol also incorporates nutritional, lifestyle, and herbal counseling based on the principles of East Asian Medicine. These therapies work with the natural vital energy inherent within all living things to promote the body’s ability to heal itself. This system of health care is used extensively in Asia and is rapidly growing in popularity in the West.